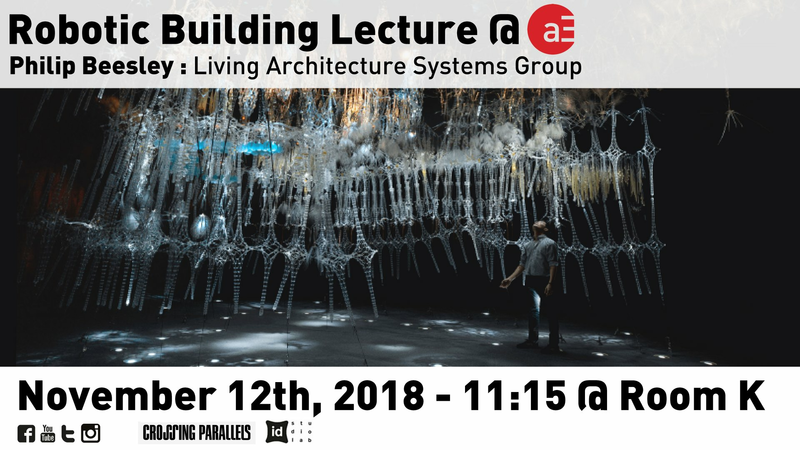 New projects by the Living Architecture Systems Group will be presented, providing detailed illustrations of prototypes and offering design methods that could be applied to contemporary design. These ‘living labs’ harness emerging technologies into a responsive, breathing, sentient architecture by combining detailed artificial fabric systems from fashion and heavy structures from architecture. Newly invented structural systems combine mechanics, sound, light, and filtering systems using artificial intelligence and synthetic biology. 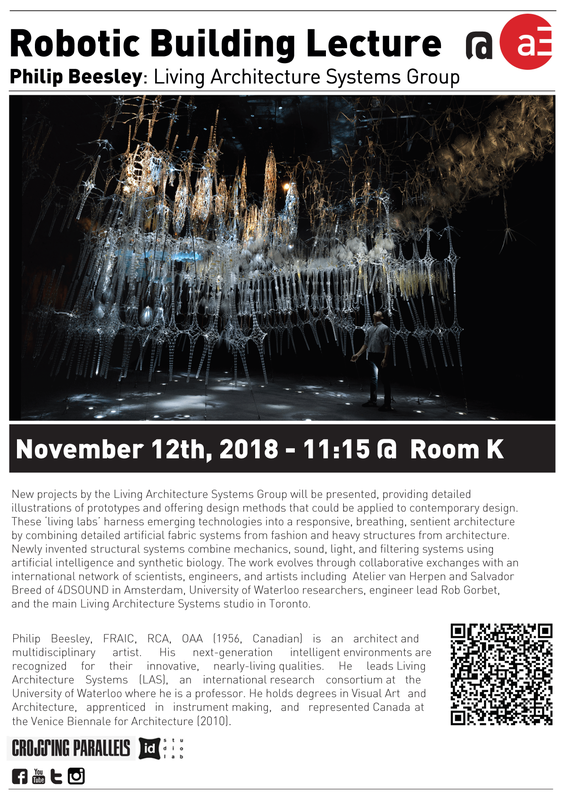 The work evolves through collaborative exchanges with an international network of scientists, engineers, and artists including Atelier van Herpen and Salvador Breed of 4DSOUND in Amsterdam, University of Waterloo researchers, engineer lead Rob Gorbet, and the main Living Architecture Systems studio in Toronto.